EXCELLENT RUNNING 4 DOOR SEDAN...CLEAN INSIDE AND OUT..
**NO DEALERS FEES**, just tax, tag and title! It's easy to deal with us! 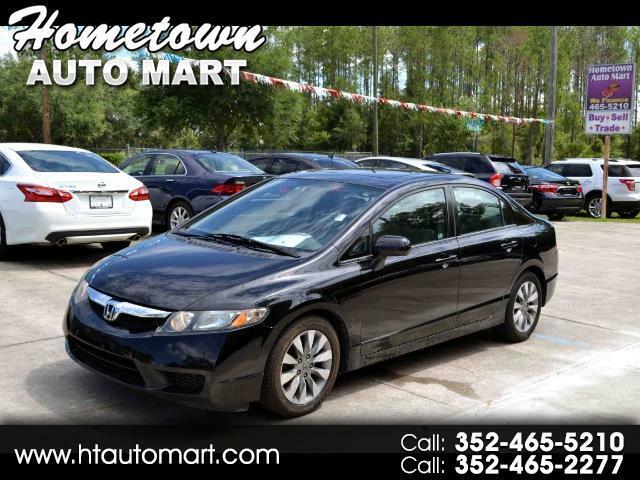 Just visit us at www.htautomart.com to see more pictures of this, our other great vehicles and Apply for Financing, or, to get additional information, please call either our 3020 W Dunnellon RD Dunnellon location at 352-465-5210 and speak with one of our knowledgeable sales associates or our 11212 North Williams St Dunnellon location at 352-465-2277 . Our low overhead means low prices for you! Trade-ins welcome with on site appraisals! Call us at 352-465-5210 or 352-465-2277 with any questions or to schedule a test drive today. At Hometown Auto Mart we treat you like Family. Not all options listed are available on our listed individual automobiles, please call for specifics 352-465-5210. We reserve the right to change our priced based on our costs.